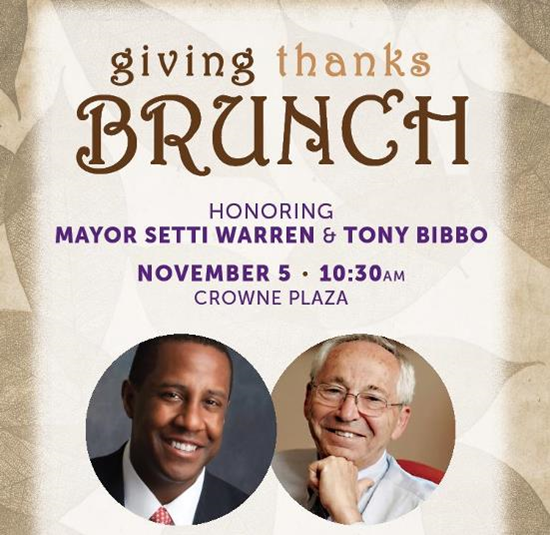 Please join us on Sunday, November 5 at 10:30 am at the Newton Crown Plaza Hotel to present Newton Mayor Setti Warren with the Family ACCESS Award for his impact on the lives of children and families in Newton and to recognize Tony Bibbo with the Family ACCESS “Lifetime Achievement Award” for a career devoted to serving the Newton community. Tickets are $25 and all proceeds go to Family ACCESS. BUY TICKETS HERE! The “Giving Thanks Brunch” is proudly sponsored by Village Bank and the Rotary Club of Newton!